We have two facilities located in Guaynabo and one in Carolina, Puerto Rico. Both equipped with the most advanced technology and a highly trained staff. High Profile Lab I was established in 2003 by Licensed MT Carmen Ripoll and Betsa Martorell. After a long year of preparation and compliance of laws and regulations, the Lab finally opened it’s doors to our patients in 2004 at Clínica Las Américas in Guaynabo, now Clínica SALUS. 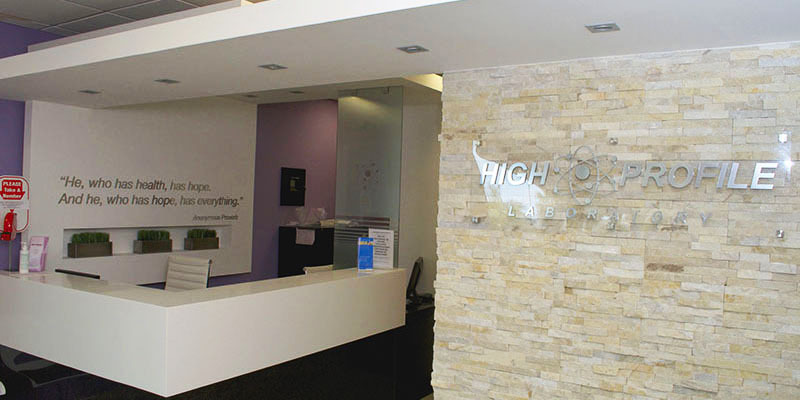 High Profile Lab evolved into being one of the most advanced clinical and microbiological testing centers of Puerto Rico. In 2012, High Profile Lab II opened it’s doors to the public. Managed by the same standards of quality and service, this Lab is now positioned as another significant one in the island.